The first STI: PopStats Research Conference and User Forum was held in Austin, Texas, in March of 2006. Since then we are proud to say that each year our annual Conference has become the "go-to" event for market researchers. Attendees consistently tell us that our Conference offers greater information and networking value than most other industry events. Many also tell us that if they can only attend one Conference a year, they will choose this one. Each year we strive to provide high-quality, in-depth research insight, including discussions of STI: PopStats' unique and sophisticated methodology, innovative new research techniques, market research success stories, and research theory. Speakers include the creator of PopStats Robert Welch, industry experts, and PopStats users. The User Conference is also an excellent opportunity for everyone to share their thoughts, questions, and experiences about market research with their peers, both in the discussion sessions and during the many networking opportunities. As a follow up to each year's Conference, we prepare Conference Summaries with brief synopses of all the sessions. The Summaries provide a review of the highlights of each event for those who attended and a convenient overview of the insight shared at the Conference for those who could not be there with us. The summary list is shown on the left side of this page. Please take a look at the vast knowledge shared at our past Conferences. And, of course, please plan to attend our next event in 2019. "This is a great conference. I gained as much from the conversations as from the presentations. You give good value." "Great job. I am very impressed with the speakers and the conference's overall execution." "This conference continues to rate highly versus other similar conferences." "Better, more relevant information regarding how the companies are using data in practical applications." 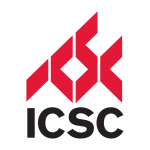 "I learned a great deal more here than at the ICSC research conference." "It was the best conference I attended this year."